Pop Up or Roll Up Banner? 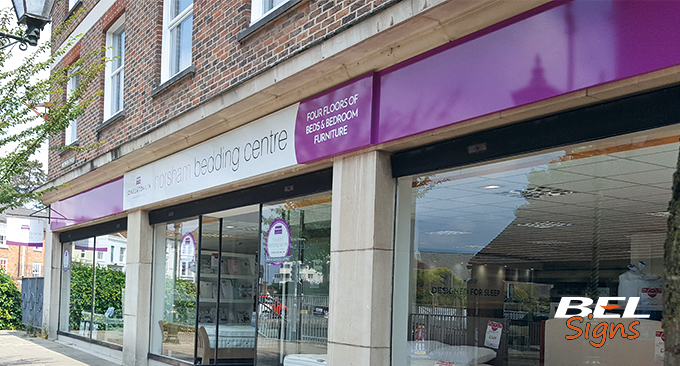 It’s been nearly ten years since we started working with Horsham Bedding Centre, part of Jones & Tomlin on Medwin Walk in the centre of Horsham town. Back then we produced the occasional car park sign, window posters and ‘sale’ event stickers. 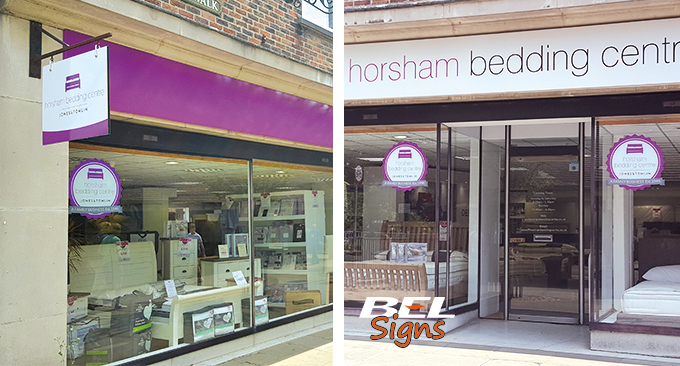 However, when the new store manager wanted to give the store a new look with the Jones & Tomlin rebranding, he looked no further than the team here at BEL Signs. 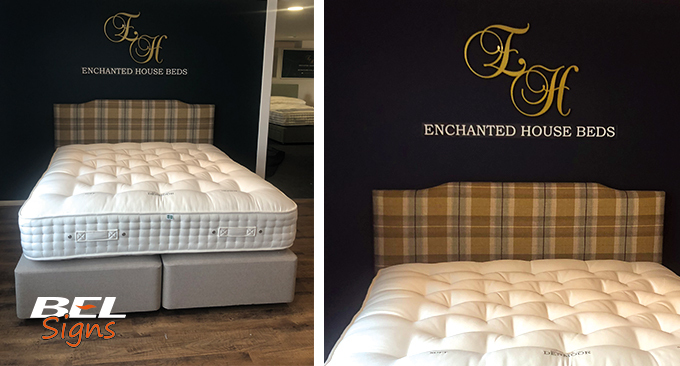 The whole project has been completed this Summer and encompassed outdoor signage to all sides, signage inside the store to brighten spaces and add branding, in addition to installation and print work. 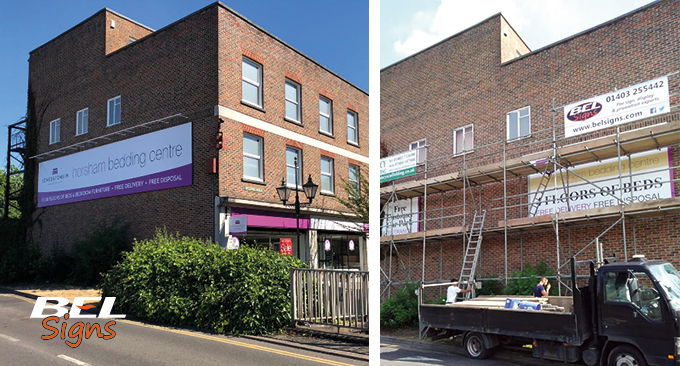 It was also a great opportunity to put up a scaffold banner! Contact us if your business needs signage, looking for some inspiration or have some queries about what type of signage might be best for your premises. Book your new 2019 van in to be signwritten now!